Some preseasons give you the warm and fuzzies about your team’s prospects. For Vikings fans, this hasn’t been one of them. The latest in what seems to be an endless supply of obstacles for the Vikings to hurdle is a report that Sidney Rice “appears likely” to have belated surgery performed on his hip. This is the same hip injury that Rice reportedly suffered during the Vikings NFC Championship loss to the Saints. Rice supposedly sought the advice of three specialists during the offseason, at least two of which told him to have the surgery. He opted to avoid it, however, and attended the team’s offseason activities. If he would have had the surgery months ago like he was advised, then he would probably be returning to practice right about this time, if not sooner. Now, the Vikings may be without their only 1,000 yard receiver since Nate Burleson’s 2004 season for half the season. This timing is going to annoy fans considering that it appears this problem could have already been solved. And for the conspiracy theorists in the room, this may shed some light on why the Vikings chose to make such a sudden and aggressive effort to get Brett Favre to commit to playing last week. 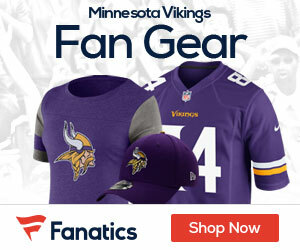 If the Vikings knew that Favre’s favorite target wasn’t going to be healthy in 2010, they may have wanted to get him in the house before the news hit. After all, if Favre hadn’t committed to playing yet, we would all be talking about how the news of Rice’s likely surgery would affect Favre Watch. I was listening to ESPN radio and heard a brief mention that the Patriots are very weak on the D-line. Ray Edwards for Randy Moss! Too bad the Pats aren’t exactly deep at WR, a man can dream, though, a man can dream. Thanks alot Sidney and good luck with your contract. Time to go after a starting receiver I’m sure Favre will insist. This season getting tougher by the day. The sad thing, It hasn’t started yet!!! Thanks for the reminder Charlie. Who knows “Brad the Brain” might stumble on to something in the next couple weeks. Why do some pro athletes think they are smarter than doctors regarding their health? This was just plain dumb! Great news for my fantasy team! Looks like Ochocinco is now my WR2. Hopefully this is all a storm in a teacup and isn’t as bad as it’s being made out right now. On the brightside at least Berrian will be the focus now, and hopefully will seize the chance to step up. Joe Webb could probably solve this whole economic down turn problem couldn’t he? Freds heard that Joe Webb was the person who finally came up with a solution to the oil spill problem in the gulf. Reports have it that Joe Webb will miss practice to day because he has to travel to PAK E STAN to fix their flooding disaster. Sports Illustrated has reported that Tiger Woods has hired Joe Webb as his golf swing coach. The Star Tribune is reporting the Joe Webb will actually perform the surgery on Sidney Rice’s hip, with a butter knife and a blind fold and have him back at practice in 3 days! Easy on the desperation folks!! Freds, I think that sarcasm thing is back. Joe Webb can finish Mario Bros without using the jump button. If his hip really does need surgery and this isn’t a contract ploy, then the guy has to be the dumbest guy ever. He not only loses out on this season but possibly a lockout next year. A lot happens in two years and the real possibilty is this will cost him millions and I say that’s fair payback for being stupid. On the other hand, we’re still loaded and what we saw the other night against the 9ers was not what we will see in the regular season. Agreed Fran. I can’t help but wonder what the hell some of these pro athletes are thinking? Even Favre was smart enough to have surgery early enough to be ready for the season. I knew it was worse than we thought. Sidney, you are retarded. If a doctor says to get surgery, then GET SURGERY. Our schedule is really tough, and our o-line looke like garbage. This is the last thing we need. A: Trade Ray Ray Edwards for a decent receiver. Robison could easily produce like Ray did on the d-line. or B: Put Webb at receiver and let him be the athlete that he is supposed to be. Then we can still keep TarVar and Sage Blowselfels. I think it’s a simple decision, and if it isn’t made we are in for some serious trouble unless Javon Walker turns out to be the sleeper to end all sleepers.